Knowing whom to sue may not be as easy as you think. It is essential that you sue the right person or legal entity. You can lose your case if you sue the wrong person. According to some District Court judges, suing the wrong person on behalf of a business is a common mistake for self-represented persons. Visit the District Court website for more information. Here are some guidelines on suing the right party. First, look at any receipt or agreement that you have with the other side. This is a good place to start when deciding who you should sue. *Tip on traffic accidents* - Sue the driver who caused your injury or property damage not the insurance company. District Court staff report that this is a common mistake. Naming more than one person (including a married couple) – Again you should use the person’s full name (see above). List everyone that might be responsible for the harm you suffered. If you are not able to collect against one, you may be able to collect against the other. You would not want to file another lawsuit on the same incident. Remember that you must also serve each defendant with the court papers. If you are suing a married couple, name both people and note “husband and wife” after their names. Try to avoid naming the wife as Mrs. George Norton since this defines the person by relationship. If George Norton divorced his wife and remarried, you would have the wrong person! Suing a business – There are three basic ways that a person can operate a business – a sole proprietorship, a partnership or a corporation. The choice will control how the business is taxed. It will also determine who is liable (responsible) for the debts and bad acts of the business. In some cases, the business entity is considered a new legal “person.” You must sue the right person, whether it is a human person or an artificial legal “person.” See the chart below for guidance. You can use state and local information to research how the business is organized. If you are unsure, consult a private attorney. Bring all of the research you have done. It will save the attorney time and save you money. Many attorneys will assist you without representing you in the entire case. This arrangement will give you expertise when you need it. You may still choose to handle the rest of the case by yourself. Corporation The corporation is a legal “person.” Be sure that you use the full name, including the special abbreviations that indicate the status of the business such as Inc. or LLC. You should not sue the owners or managers. 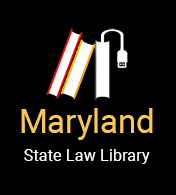 You can sue in Maryland, even if the headquarters of the corporation are in another state. There will be a “resident agent” on whom you should serve the court papers. You can find this information on the SDAT Website by searching the name of the corporation or LLC. Use the same process for a limited liability company. General Partnerships In a general partnership, all of the partners are liable for actions of the business. This is true even if you dealt with only one of the partners. You should name all of the partners in your lawsuit. You must name all the partners to the business and you must name the business itself when filing the lawsuit. Limited Liability Partnerships In this type of partnership, certain partners are protected from lawsuits. (These are the “limited liability” partners. These are usually people who invested money in the business.) You should sue the business and name the general partners. You must name all the general partners to the business and you must name the business itself when filing the lawsuit. Sole Proprietorship Name the person who owns the business, even if the person uses a fictitious name or trade name. You must name all individuals who own the business and you must name the business itself when filing the lawsuit.